Fleas can quickly multiply in your garden or yard and make it uncomfortable for you and your pets. Even if you do your best with flea treatments for dogs or cats, the neighbour’s pets may keep on bringing them to your property. You can try spraying with pesticides but over time this is bad for your garden, particularly if you’re growing food. And your family will be required to stay indoors for the duration of the treatment. The next best way to rid your garden of fleas is to use all-natural treatments. Adding beneficial nematodes to your garden is one effective method, as they love to consume fleas but not your garden. The theory is similar to when you purchase lady bugs to eat aphids in your garden, but you’re buying worms instead. Beneficial nematodes are actually worms. They have a long shape with a pinkish exterior but are invisible to the eye. Don’t mix them up with other types of worms in your garden. The beneficial nematodes are officially called Heterorhabditis bacteriophora. They are microscopic to the eye, needing to be small enough to penetrate fleas and have their bacteria kill them. These are a species of worms used specifically for gardening. They are quite small and can also be called EPN or entomopathogenic nematodes. These worms are used by gardeners to stop annoying pests in the garden, such as ants, moths, beetles, grubs, ticks, flies, and fleas. Using beneficial nematodes in your yard is actually an eco-friendly method of treating lawn and garden. Many homeowners today are hesitant in using pesticides, which have been proven to contain cancer-causing substances. Especially since fleas are relatively harmless to pets and humans and more of a nuisance. Watering the lawn can keep them under control, but this may not work in many cities during the hot summer months when there are water-controls in place. How Do Beneficial Nematodes Kill Fleas? 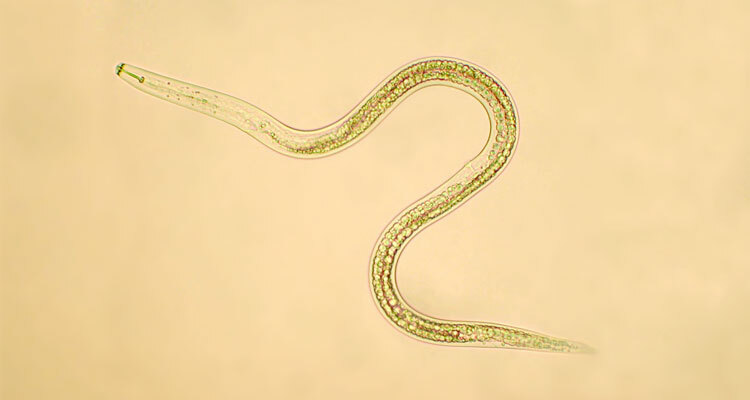 Beneficial nematodes contain a special bacteria inside their digestive tracts. The bacteria doesn’t directly kill fleas, but inside the bacteria is a bacterial symbiont that does. This bacteria lives in harmony with the beneficial nematodes. This bacteria is from the Photohabdus genus. Not only does it live in harmony with beneficial nematodes, but other types of worms too. After the worm has infiltrated into a flea it will unleash its deadly bacteria. This bacteria will rapidly multiply, filling the insect’s system with toxins. This eventually converts the inside of the flea into a nutritious goop where nematodes can reproduce. Where Can I Use Beneficial Nematodes? Beneficial nematodes are for outdoor-use only. They can be mixed with water and poured onto grassy lawns. They can also be used in flower beds and vegetable gardens without harm. 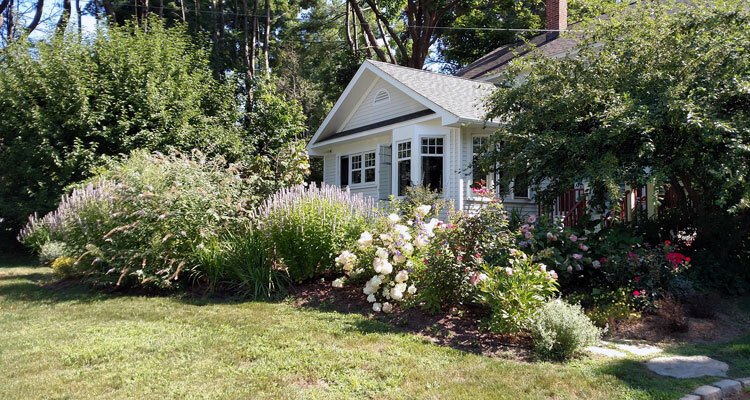 If you have bushes or shrubs, you can also water the surrounding ground. Fleas can infest any type of ground or surface. They really don’t have a preference. If you have any mats or rugs on the ground you may wish to wash them and put them away until you have eradicated all fleas from your yard. How Effective Are Beneficial Nematodes for Fleas? This isn’t an immediate solution to ridding your yard of fleas. The entire process, from the worms invading the fleas, to killing the fleas and reproducing will take about 20 days. But you should start to see a difference in the flea population in about 48 hours. The additional benefit to using beneficial nematodes in your yard is that since they reproduce in their hosts, the fleas, they also release a new generation of worms at the end of the cycle. The one drawback to this method is that after the worm has invaded the flea and begun its process, it turns the flea inert. This means that if a bird happens onto a worm-filled flea, it will gobble it up like it’s a special treat. This will kill both the beneficial nematodes and the flea it inhabits. The beneficial nematodes do have one more trick though. When they’re inside of another insect, they can turn that insect from an orange to a red colour. This is so they are not visible to birds. But there is a small window of time when a bird may see a nematode-filled insect and eat it up, so this is a minor concern. The main benefit of using beneficial nematodes in the garden is to eradicate fleas and other harmful pests, such as ants, grubs, ticks, and fleas. The second benefit is that beneficial nematodes are not harmful to humans, pets, birds, or other beneficial earthworms. 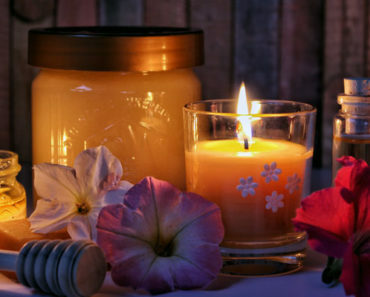 They also don’t harm any type of plants, trees, shrubs, bushes, etc. in your garden. They’re not interested in eating your plants, only the fleas and other pests. Your pets and children can still safely play in the yard. You also don’t have to worry if a bird gobbles up one of the nematode-filled insects. The nematode bacteria is destroyed in the guts of birds. This bacteria also has no effect on humans or animals. You can keep your garden free of harmful pesticides when you choose a natural method, such as treating it with beneficial nematodes. However, it’s important to only buy beneficial nematodes as you can be assured that they won’t harm your garden or family. The bacteria within the beneficial nematodes won’t harm you if the worms get into your vegetable patch either. Of course you always want to fully wash any produce from your garden. But the bacteria in nematodes has effect on humans even when it’s consumed. How Many Nematodes Do I Need to Use? When you buy beneficial nematodes you’ll be buying them in the package. This is to protect them until you’re ready to remove them from the package and use them. In one package you’ll get 10 million nematodes. These are in their microscopic form, which is beneficial in penetrating the exoskeletons of harmful fleas and other insects in the yard. 10 million nematodes will cover an area of garden that is 2000 to 3000 square feet. This should be enough for treatment, whether you are trying a light application or a heavier application. Applying nematodes to your garden is simple. You won’t need to do a lot of work, and best of all you won’t need to use any pesticides. You’ll receive your beneficial nematodes in a package that contains a powdery solution. Since the worms are microscopic to the eye, you won’t be able to see them. You’ll first mix the powdery solution with water. You can pour the powder into a watering can and mix it up, or pour the solution into a sprayer and use a hose attachment or misting system. You’ll want to mix up your nematodes quickly, then get them applied to your garden quickly. This gives them a chance to get into the soil. You don’t want them to expire in the watering can. If the water starts to evaporate it’ll also kill them. Applying them to your garden is simple. Spray your lawn as you would normally, until the can or the jar is empty. When Should I Apply Beneficial Nematodes? Only do your application if temperatures are above 10°C / 50°F. There are also two best times of the year to apply your beneficial nematodes. The best times are during the spring after soil temperatures have reached above 10°C / 50°F, and in the early fall before it gets too cold. This also covers the time that fleas start breeding and being a problem in the garden in the spring. A final treatment at the end of summer can get rid of any lingering fleas. When your package arrives, put it in the fridge. Do not put it into the freezer. This will keep them alive until you are able to apply them to your garden and yard. But you do want to use them within a day or so upon delivery. Since they are a living insect they can die if you wait too long to use them. Each package will have an expiration date so you know when you can use them. The best time to apply your beneficial nematodes is during the early morning or late evening, times when there is less light from the sun. This gives them a chance to move into your garden. Choose a time after there has been a light rain. This gives a better chance for the beneficial nematodes to penetrate the soil. But don’t apply them if there has been a lot of rain as this can wash apply your nematodes. Follow the instructions on the package. You won’t be able to see if the beneficial nematodes are alive in the package. They generally have a two month lifecycle while in the package, which covers the length of time to reach you. You don’t want to chance it, so use them immediately. Can I Use My Yard After Beneficial Nematodes Application? It’s perfectly safe to walk on your lawn after application of the beneficial nematodes, or to let your pets roam around. However, you want the nematodes to have the best opportunity to penetrate into the soil. For this reason, avoid using your garden or yard for 12 hours, or wait until the next day. This will give them a chance to settle in and find those insect hosts that they desire. How Long Will Nematodes Live in the Ground and Be Effective? Once you’ve successfully applied beneficial nematodes to the ground of your home you can expect them to live for several weeks. Most of them time they’ll find a flea host. Once they’ve penetrated the flea’s exoskeleton, the bacteria within them can take about 48 hours to kill them. This time frame can vary if they’ve found other types of insect hosts. The good news is that you don’t need to continually apply beneficial nematodes to your garden to keep on experiencing their flea-control techniques. Once the beneficial nematodes have settled into the flea and killed it, there will be about a 20-day window when it will reproduce. More beneficial nematodes will be released into the ground. If you have properly applied your beneficial nematodes, they will be encouraged to find other insects, such as fleas, kill them, and then release many more beneficial nematodes. Once you get them into this healthy lifecycle you won’t need to buy another package of beneficial nematodes. Where to Buy Beneficial Nematodes to Get Rid of Fleas? Beneficial nematodes can be purchased from your local gardening supply stores. They cost about $15 for 10 million nematodes. If you have a particularly bad infestation of fleas in your garden you may wish to double that order. But keep in mind that you need to use them quickly before they die. If you don’t have a garden supply store near you, you can also purchase them online from lawn and garden supply shops, or from Amazon. Write in your calendar a time when you’re going to treat your garden with beneficial nematodes, and then buy your packages around this time. There’s no point in having your package arrive, then placing it in the fridge for weeks while you go on vacation. Plan your lawn care schedule carefully. Beneficial nematodes are nature’s way of keeping insect pests down. They’re also an affordable way to treat your yard when you have a bad flea infestation. 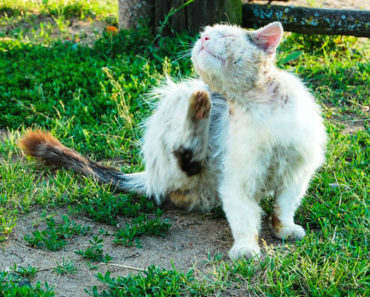 Just be sure to give you pets a good flea bath, because you don’t want an endless cycle of fleas popping up. The very action of watering your yard will also help to keep the flea population down. Soon you’ll be able to sit on your lawn chairs with your family without having to worry about your legs and feet being bitten. Now you can enjoy your garden and feel confident in having your pets roam around without picking up any more fleas.